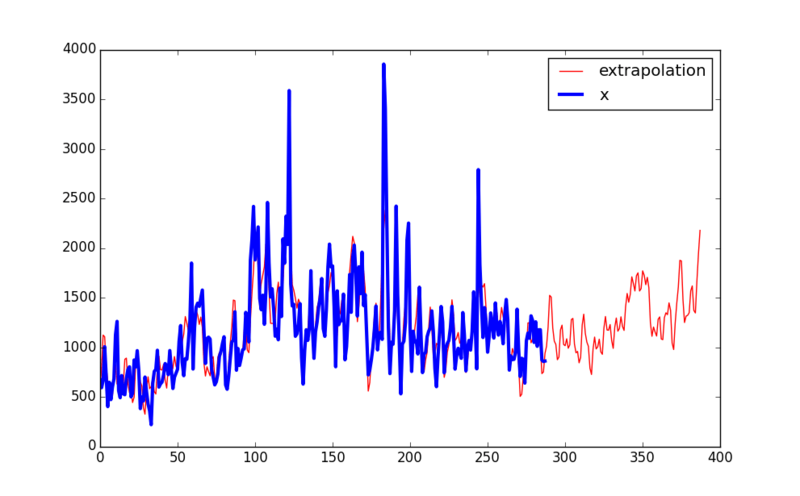 SA is a program for performing Fourier and time series analysis. sensitive help is available by pressing [F1]. 2. At the opening screen, press [F1] for a quick introduction. [ENTER] or the letter "D". 5. The menu cursor will now be on "Retrieve". Select "Retrieve"
by pressing [ENTER] or the letter "R". "DEMO.DAT" will now be loaded. 8. Press [ESC] or "Q" to get back to the main menu. 9. Press the letter "G" to select "Graph". 10. At the prompt for variable #, enter "1". 11. The graph of the function "x" should now be displayed. 12. Press any key to return to the main menu.